Digital printing accommodates the changing needs of your company. Short run flexibility lets you print a few to test the market, make changes, and run more later. Print a few. Print a lot. Save money and print exactly what you need	no matter what the quantity, one or thousands. Closely knit work flows and careful color management guarantees accurate reproductions of your digital files. Staying true to your design means we help you maintain a consistent brand image. Summit supports numerous software applications and file formats. You design it. We print it. Simple. Easy. Start with your idea and be as involved as you want. Write your own copy and have Summit provide the design and layout. It’s up to you. We can help you GET NOTICED. Use variable data digital printing to personalize your pieces and improve your response rate. It's as simple as putting their name in the greeting or as sophisticated as targeted content carefully chosen based on each customer’s purchase history. Carefully aimed communications help you hit your target audience and score the results	you're looking for. 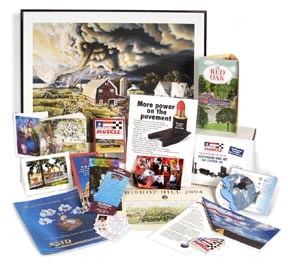 You can have high quality print products in short runs without having high costs. Don't believe us? Pick up the phone	and call. We'll show you affordable color that works for you. Browse by product... Post Cards Business Cards Brochures 8.5" x 11" Brochures 11" x 17" Catalogs Glossy Self-Adhesive Labels Matte Self-Adhesive Labels Mouse Pads Note Cards Greeting Cards Calendars Flyers, Sell Sheets, Price Sheets Gift Certificates, Coupons, Tickets Menus Awards & Recognitions Newsletters Posters 12" x 18"
Get Noticed with Digital Printing! What can I do with Color Digital Printing?